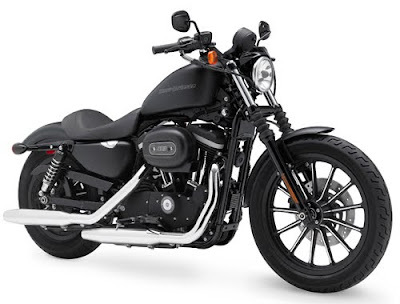 The Harley Davidson is an American based two wheeler manufacturing company and it latest powerful model is named as Harley Davidson Iron 883 in the automotive market of India. This motor bike is designed in such a way that to provide the maximum safety, comfort and the real pleasure of riding to its rider. It has equipped with a powerful and most advanced engine, which will provide the maximum speed and smooth riding. This motor bike is the first motor bike of Harley Davidson, which will be launched in India for the first time. The cost price of this motor bike will be around Rupees 650000 in the automotive market of India. This motor bike will be launched in the first month of 2011 in India, which is declared by the Harley Davidson Company. The Harley Davidson Iron 883 has an advanced and more powerful engine with so many ultimate features. The engine type of this motor bike is 4 strokes and V – twin and it also has equipped with the 2 cylinders, 4 valves and the technology of air cooling. The compression ratio of this motor bike is 8.9:1 and the configuration of valve is OHV. This displacement of this engine is 883 CC and the engine of this motor bike can able to produce the maximum Torque of 70 Nm at the rate of 3750 rpm. The engine of this motor bike is equipped with the electric fuel injection system. The starting system of Ignition is based on the electric starter. 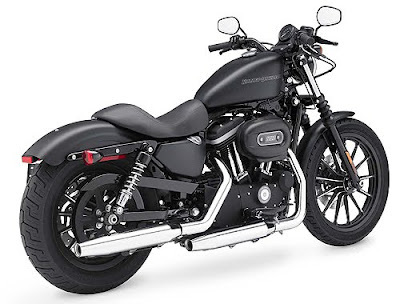 The Chassis of Harley Davidson Iron 883 is very strong and also designed to provide the maximum comfort to the rider. This motor bike can run smoothly at the top speed on the road of India. The transmission of this motor bike is equipped with the 5 speeds gear box for the fast and stress free riding. The transmission type is operated manually and the primary drive of this motor bike is equipped with the rear wheel belt. The measures of tyres are 100/90 R19 57H of Dunlop for the front side and the rear one is 150/80 R16 71H of Dunlop. The both braking system of this motor bike are equipped with the Hydraulic disc for the effective and instant brake, which is very essential for the road of India. The wheel base of this motor bike is 59.8 inches and Harley Davidson Iron 883 has fuel tank with the fuel capacity of 12.5 litres and the reserve capacity is 3.3 litres. I had to comment on this since this is the worst piece of review I have come across.I wonder how much you pay the guys for the write up.